Vakratunda Mahaakaaya, Suryakoti Samaprabha. Nirvighnam kuru Mey Deva, Sarvakaaryeshu Sarvada. O, Lord ganesha of the curved trunk and massive body, the one whose splendor is equal to millions of suns, please bless me so that I do not face any obstacles in my endeavors. Kapitha jambu bhala saara bhakshitham. O' adorable immaculate One, May You, that Supreme Divine being, stimulate our intellegence for our self awakening, so that we may realize the Supreme Truth . . . . !! Guru saakshaat Param Brahma Tasmai shri guravey Namah. The guru is none other than the creator, Lord Brahma; he verily is Lord Vishnu, the preserver, and the truly is Maheswara, the destroyer. 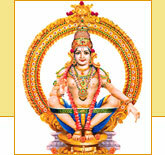 He is the supreme Brahma himself. To such a guru I offer my salutations. Yaa Kundendu tushaara haaradhavalaa, Yaa shubhravastraavritha Yaa veenavara dandamanditakara, Yaa shwetha padmaasanaa, Yaa brahmaachyutha shankara prabhritibhir Devaisadaa Vanditha (poojitaa) Saa Maam Paatu Saraswatee Bhagavatee Nihshesha jaadyaapahaa. May that Goddess - Bhagavati - the blessed Saraswathi presiding deity of learning and remover of our lethargy, laziness and ignorance, protect us. She is pure and white like the jasmine, the full moon and the garland like formation of dewdrops. She is dressed in a spotless robe. She has in her hand the auspicious instrument veena. She is seated on a white lotus. She is the one who is always respected by Brahma the creator, Vishnu the preserver, Shankara the annihilator and other Gods. Sidhir bhavathu mey sada !! Oh ! Goddess, Saraswathi, my humble prostrations unto Thee, who are the fulfiller of all my wishes. I start my studies with the request that thou will bestow Thy blessings on me. Keejai Naath Hrdaye mein dera his feet, he prays "Oh Lord! You enshrine within my heart & soul."